The cloud-based system links a series of mobile apps to back office management software applications including asset management, live tracking, job scheduling and routing. Formed in 2002, LOOS FOR DOs provide portable event toilets and shower trailers to major events such as the Farnborough Air Show, the London Marathon, Victorious Festival and even Royal Weddings. Last year the company hired over 19,000 portable toilets and supplied 124,656 loo rolls; enough loo roll to stretch from their head office near Alton, Hampshire to Mecca in Saudi Arabia! With 30 full time staff and additional contract drivers for the events season, LOOS FOR DOs has over 1200 moveable assets which are managed using the BigChange system. 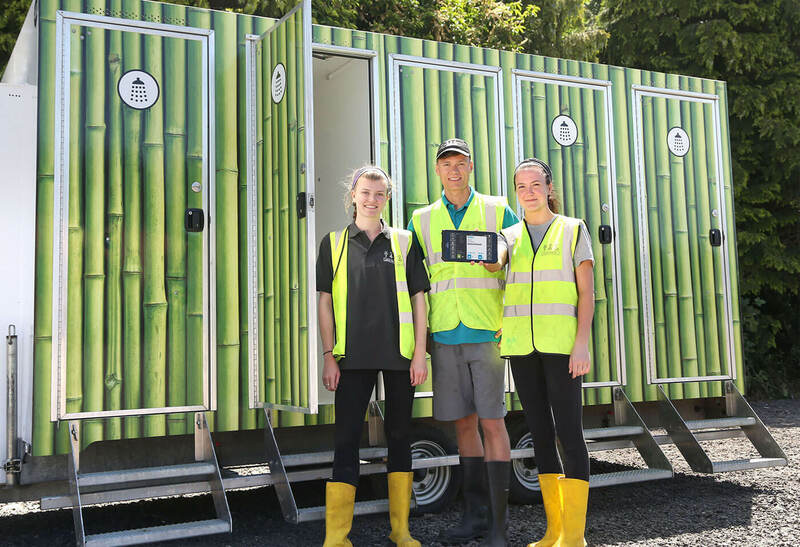 The company does not shy away from taking on the most logistically challenging jobs such as festivals for 85,000 people spread across large sites to marathons, where LOOS FOR DOs deliver over 300 toilets to multiple locations along the route as the sun rises. Considerable pre-planning is needed for events and the BigChange scheduling software is used to plan asset allocation, delivery, servicing and collection. Once the job starts LOOS FOR DOs drivers, installation and service teams manage their tasks using JobWatch on their tablets or smartphones. The tablets clip into cradles in the vehicle to provide GPS navigation to the destination – using map coordinates rather than post codes for precise locations. « For customer service, the system is proving to have huge benefits. It’s not just that we can ensure a more reliable and adaptable service with minimal invoice disputes, but there are nice touches that boost customer appreciation and the retention of their business ». JobWatch is used for Job sheets, recording asset delivery and collection and in the situation where there are ‘no shows’ and site access is not possible, the arrival time recording and GPS location provide undisputable evidence that can be supplemented with a photograph showing, for example, a locked gate. Drivers also use a JobWatch app to do their daily vehicle checks and defects are instantly reported to the maintenance team for workshop scheduling. The system also monitors driver performance with monthly metrics reports highlighting incidents of speeding and harsh breaking.